The cash cannon is about to change everything. 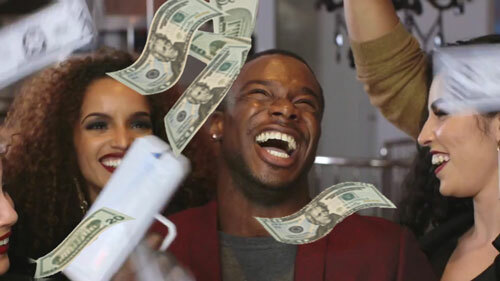 Have you ever wanted to make it rain money while out with your friends? Dream of whipping out a money cannon while at the club? Now you can! No, really!! The Cash Cannon has made its debut and for a reasonable price! 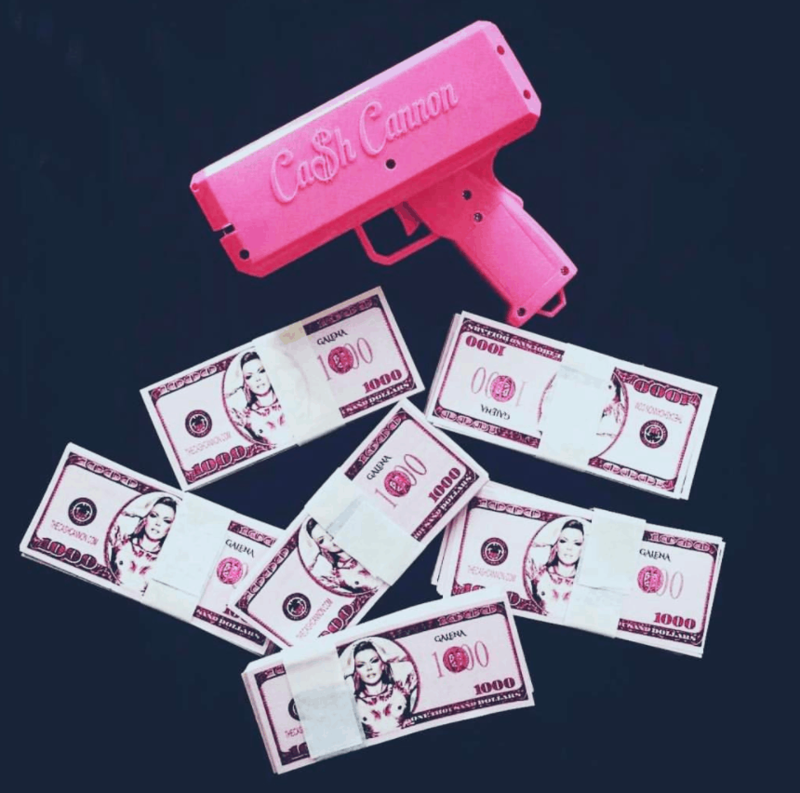 If you are someone who makes social media clips for fun or if you want to take it to the next level and really show out with the real goods, check out the Cash Cannon today. Nicknamed THE LIGHT SHOW, this device can be loaded with 50 – 100 bills or bill-sized paper at a single time. Users simply have to press the trigger and watch the money fly. You’ve seen this work on TV. I know I have – especially on all those singing reality shows, right? All the judges whip them out when they want to have fun. Watch the cash cannon glow in the dark. Surprise the groom to be with this great bachelor party idea!! Even grandpa can have some fun. Anyone is fair game. 🙂 This is such a unique idea for parties and get-togethers. Even graduations for your kids. Give each of the guests one of these little toys and let them have at it. They will think that they are such rockstars with their fake money. I can just see it now – all of them running around in the backyard making memes and Instagram boomerangs. Oh my goodness this generation is so crazy. Wait a minute, make room for mom because she is about to step in and get in on the action. Grandma too because you know that woman has a blog. And guess what? You can now customize your own cash!!! How fun is that? Think of all the endless possibilities. You can really make your party special with this personalization. Come on – don’t make me do this for Christmas. We already get a little crazy with our ugly Christmas sweaters. I’m borderline manic at the thought. Make it rain. Make it rain. Yeah, Make it rain. Wha Whut! So, what do you think about The Cash Cannon? Fess up – you know someone in your life that wants a Money Cannon, RIGHT? Is it you? !